He says it will help laid-off workers get benefits faster, but the union is skeptical of his motives. AUGUSTA — Gov. Paul LePage said Thursday that he declared a civil emergency to make sure that federally funded state employees can receive unemployment benefits if they are laid off because of the partial shutdown of the federal government. However, Democratic leaders and the union that represents state employees remain highly skeptical of the governor’s motives, showing the tension and distrust that have existed since LePage took office in 2011. Legislative leaders met with LePage on Thursday to discuss the surprise proclamation that he made late Wednesday. A civil emergency gives LePage broad power to suspend state rules or regulations, power that he said will help cushion the impact on workers as the budget stalemate in Washington slowly cuts off revenue to the state. Other states are confronting layoffs of federally funded employees, but so far, no other governor has declared an emergency. LePage said he discussed the furlough issue with other Republican governors, but their ability to declare a civil emergency varied by state. Maine has 2,739 state employees whose positions receive some amount of federal funding. Nearly 100 have been laid off as the federal shutdown has blocked funding for certain state operations. LePage said the emergency will allow the state to get unemployment benefits faster for furloughed employees. But Democratic leaders remained frustrated that LePage didn’t provide more specifics about his executive order or when he plans to end it. “I think this is another example of the governor going it alone, governing by crisis,” said House Speaker Mark Eves, D-North Berwick. 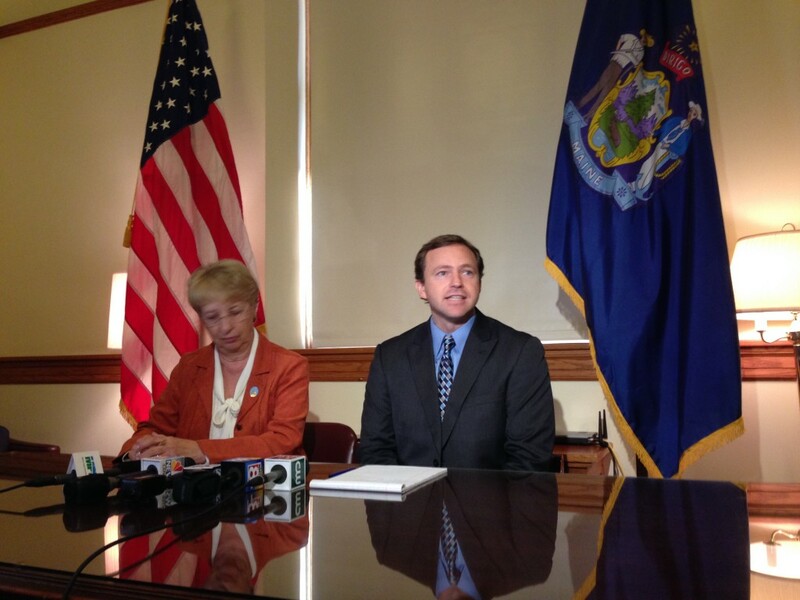 Eves said LePage angled for a shutdown of state government earlier this year when he rejected a bipartisan budget agreement reached by the Legislature. Lawmakers overrode his veto. While LePage and union officials have discussed strategies to deal with the federal shutdown, Quint said an emergency order that could be used to circumvent the collective bargaining agreement wasn’t discussed until Wednesday night, after it was announced. Quint has said there are concerns that the administration could use the order to bypass layoff notice requirements and “bumping rights,” which allow more senior employees to avoid layoffs by “bumping” employees with less time of service out of their jobs. 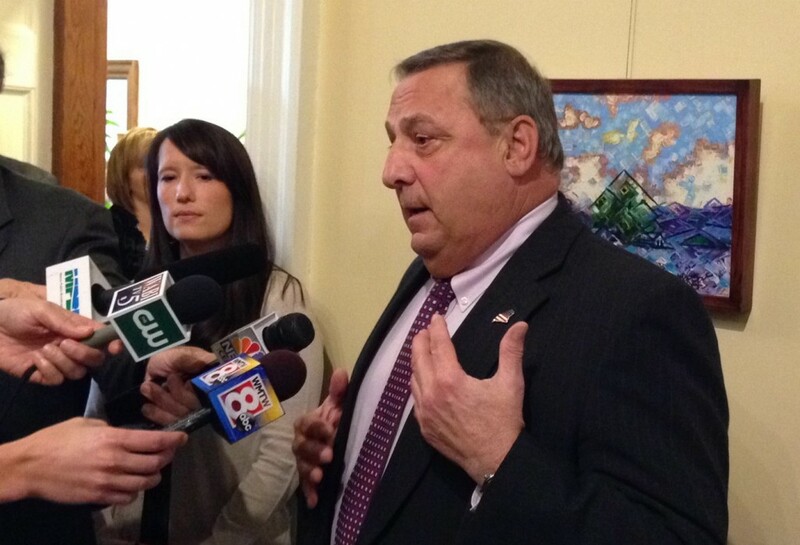 LePage acknowledged that the notice requirements were hindering employees’ receipt of benefits. He told reporters that the 52 employees who were laid off at the Social Security disability claims center in Winthrop on Monday would have to be brought back, then laid off again because of the notice requirement in the collective bargaining agreement. The workers wouldn’t be able to collect unemployment benefits until after the second layoff. He also said that some of the employees were being paid with money from the governor’s contingency fund. 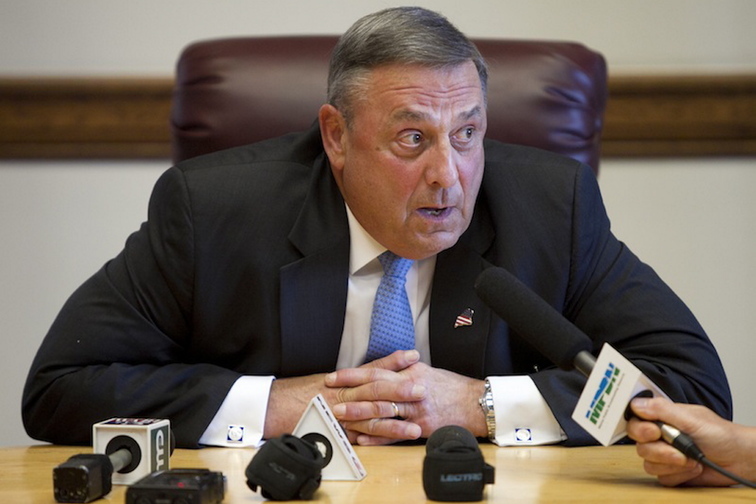 LePage dismissed claims by the union that his order is a power grab. LePage said he will use the proclamation to remove work search requirements for furloughed employees who seek unemployment benefits. When told that LePage was trying to get unemployment benefits to state employees faster, Quint said it was the first he had heard of it. The union has also contested policy initiatives and “right to work” legislation supported by the governor, saying the changes would erode their collective bargaining rights. Unions have worked to oppose LePage, spending significant money in 2012 to wipe out the Republican majority in the Legislature that the governor had in his first two years in office. There were signals Thursday that the emergency order plays into the ongoing debate in Washington, D.C.
Sen. Mike Thibodeau, R-Winterport, the Senate minority leader, said the civil emergency in Maine was caused by President Obama’s refusal to negotiate with House Republicans. Obama has refused to bargain with tea party-backed House Republicans because they have called for defunding the administration’s health care law as part of a bill to fund federal government. As the standoff has continued, House Republicans have run incremental funding bills designed to force Democrats and Obama to the bargaining table. Thibodeau noted that the civil emergency may not be necessary if the Democratic-controlled U.S. Senate agrees to reimburse furloughed federal employees, including those in state agencies, when the shutdown ends. The House approved such a measure last week, but the Senate has not voted on it. Under Maine law, the civil emergency gives LePage authority to suspend state rules or regulations that “prevent, hinder and delay effective management of the emergency.” The administration would not say which rules and regulations it has in mind. It doesn’t give LePage any additional spending authority, which is tightly governed by the Maine Constitution. In 2009, Democratic Gov. John Baldacci declared a civil emergency because of an outbreak of a deadly flu virus. That allowed the state to hire temporary clinicians in a mass vaccination drive. In 1991, Republican Gov. John McKernan declared a civil emergency during a budget dispute that shut down state government, temporarily putting 10,000 state employees out of work.